Lets face it. Most Office documents don't need to be protected. And password are always an extra level of complexity. But have you ever desired to password protect an Office document (either Excel, Word, PowerPoint or other)? It's easier than you think. Learn how, it's free! No more unwanted peeks into your files. Security using passwords is pretty standard nowadays and most Microsoft® Office applications allow you to password protect their files. 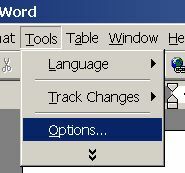 We will use Word as a fully illustrated example and list the options for the others. 2) Select Save on the Options dialog. Insert each password as appropriated (you can insert only one of them or both). press the OK button. 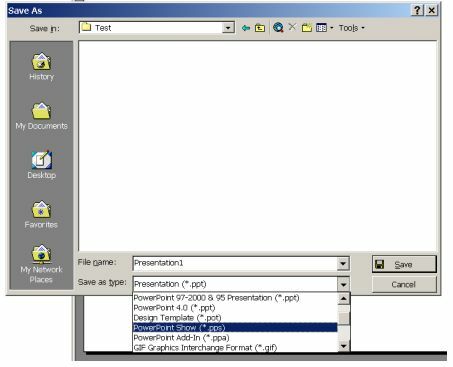 Save as a SlideShow – This will allow anyone to see the presentation but not to edit it – it immediately enters slideshow mode when opened. Useful if all you want is to prevent others from modifying it, but not to see its content. 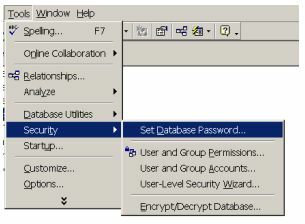 Access has a very sophisticated password protection scheme because it's a database. You can define users and profiles and give different rights to each one. But that's better left to the IT people! You have to check each one. 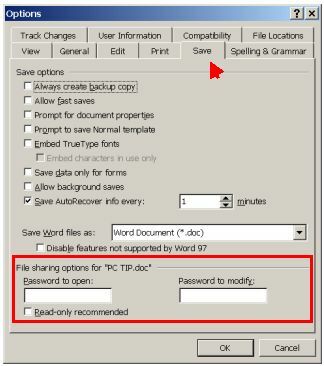 Check the Options entry in the Tools menu and the Save As option of the File menu. Check all options on the Tools menu. And check Help for the words “password save”. FrontPage doesn’t allow password protections (it generates HTML pages and HTML is an open text format, password protection is not possible). The author doesn't use Project or Publisher to be able to check them, but at least Project should provide a security mechanism. The universal solution: use WinZip! WinZip is widely used to compress files into a single ZIP file that can be emailed or otherwise transported with smaller size than the original files. It can therefore archive several files (or just one) in a new archive. 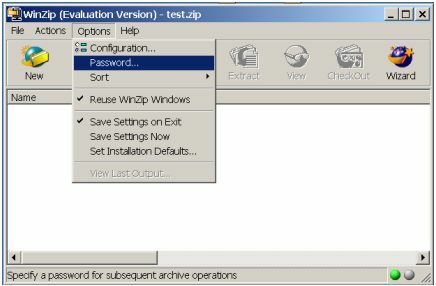 What most people doesn't know is that it is possible to set a password on a ZIP file. Without it, it is impossible to extract the files inside. And since any kind of file can be added to a ZIP archive, it is really an Universal solution.